An unloading and feeding system is built to your requirements, the available space and the budget. Here is an example of an unloading and feeding system that we made specifically for a customer. 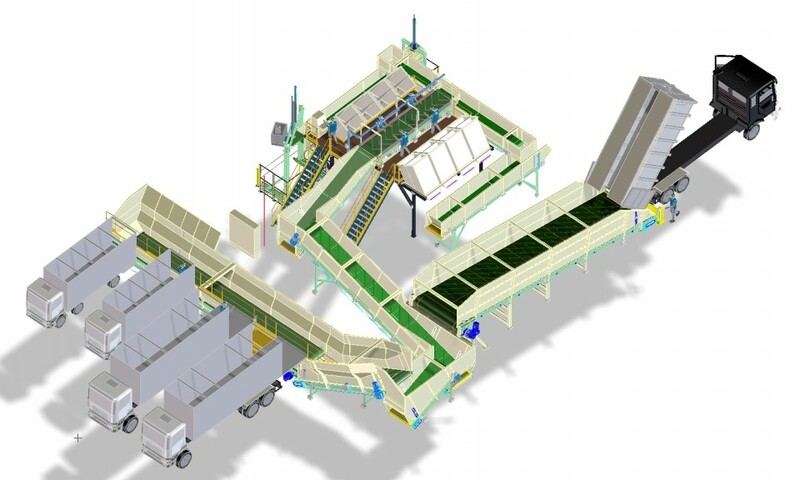 This project has an unloading belt for manual unloading, a storage belt for tilting trucks and a set of feeding conveyors to arrive in the sorting area.